What might your New York City Marathon Finish Time be, based on your half marathon finish times? 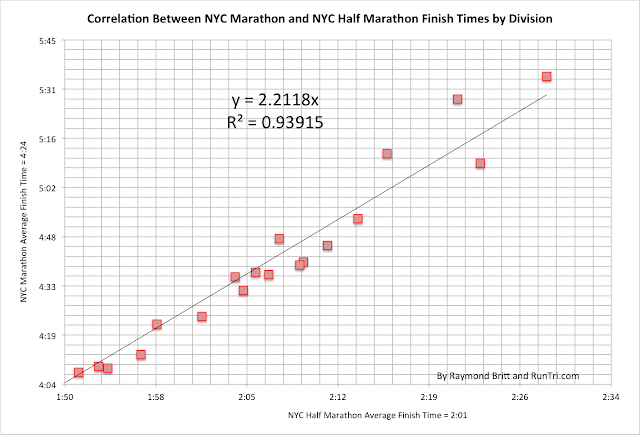 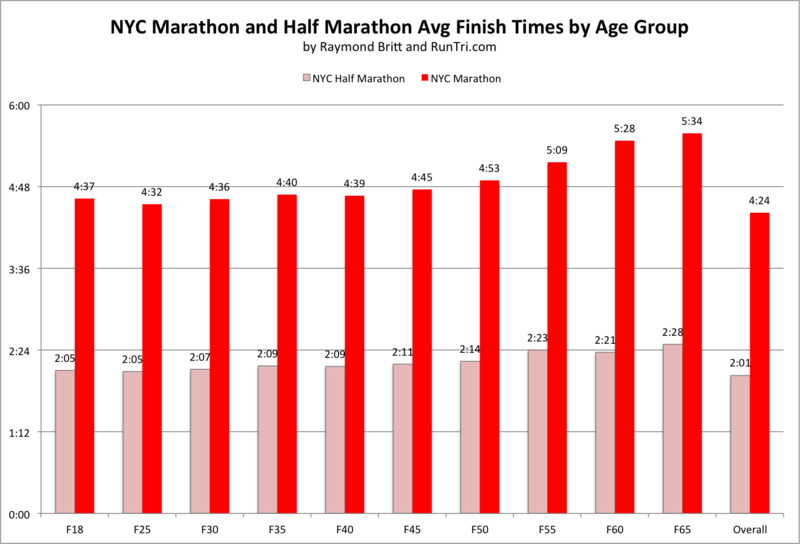 As in, NYC Half Marathon Finish Time * 2.2 = NYC Marathon Finish Time (on average). 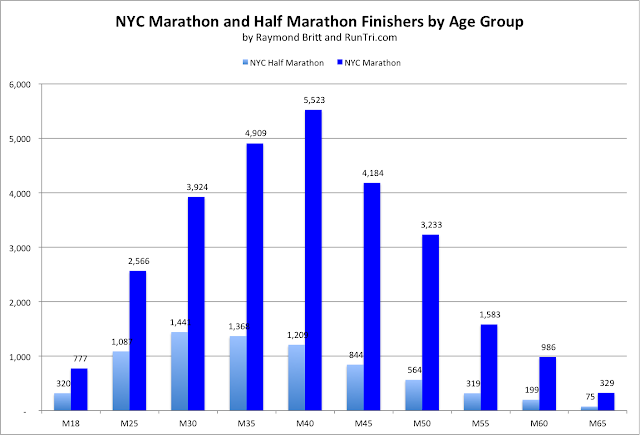 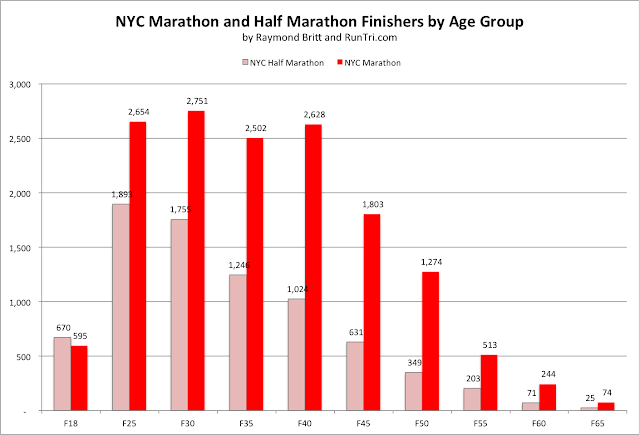 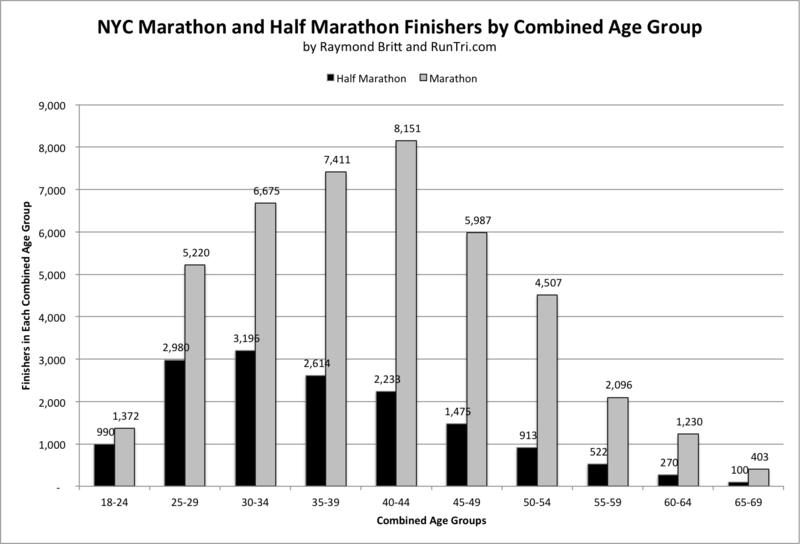 Here's more detail about finishers and finish times by event and age group that went into our analysis. 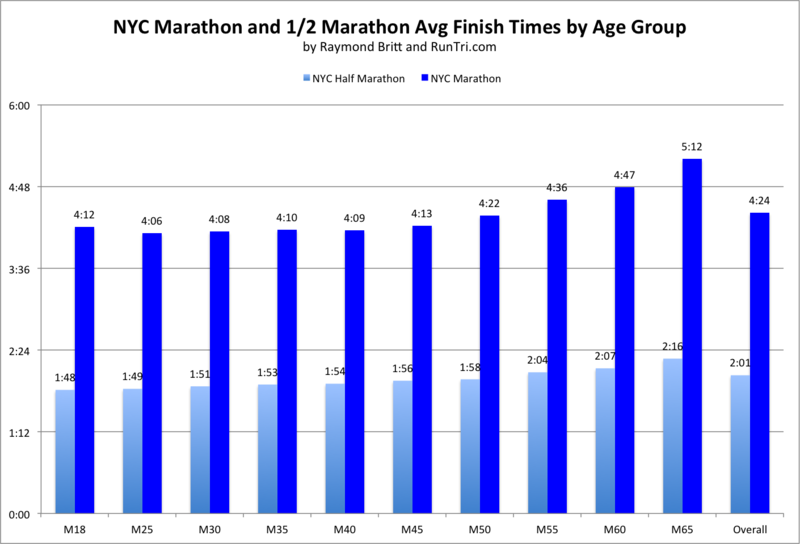 For more, see our complete New York City Marathon Coverage, and for even more, see our comprehensive archive of 200+ Stats/Results/Analysis articles.